Learn traditional Northern Shaolin Chan and Martial Art skills, for health, self-defense, stress reduction. Practice your English conversation skills with a Native English speaker. Unlike many Martial Art classes the Bay Shaolin Assoc adheres to the traditional Shaolin Philosophy that fighting is the smallest part of learning Kung Fu. In the past Kung Fu was learned as a way to help the Shaolin Monks in their meditation practice, the self defense was secondary. In today's world our everyday fight, is staying healthy under the attacks of pollution, high stress, poor food quality, lack of sleep and exercise. Our fight is to mantain a balance in living. 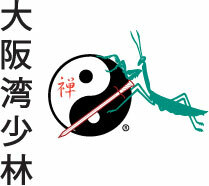 The Bay Shaolin Assoc seeks to return our balance through meditation, excerise, awareness of whole foods and herbs. It is Kung Fu Beyond Combat, "Kungfu for self-development rather than only physical self-defense" not for just the young. It is a Holistic approach to life, an ancient art for a modern world.